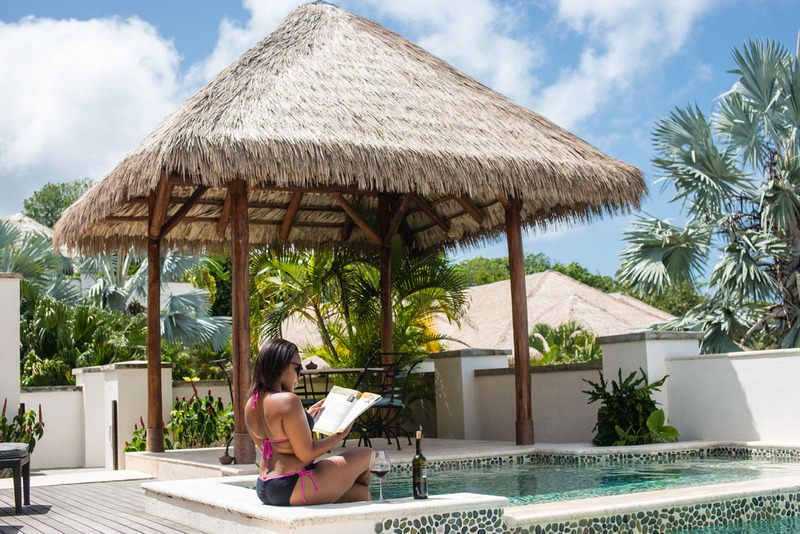 A stunning island beauty, Paradise Beach Nevis is the only private Villa Resort on Nevis that is located just ‘steps’ away from the beach. 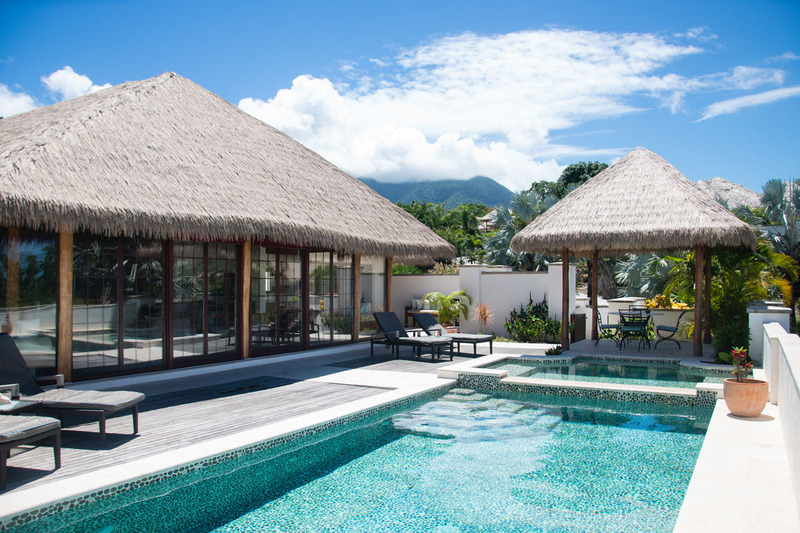 With unforgettable panoramic views of the Caribbean ocean overlooking the island of St Kitts and the impressive volcano, Mount Nevis, its setting on the beaches of Nevis, was aptly named by the early Caribs, as Oualie, ‘Land of the Beautiful Waters’. 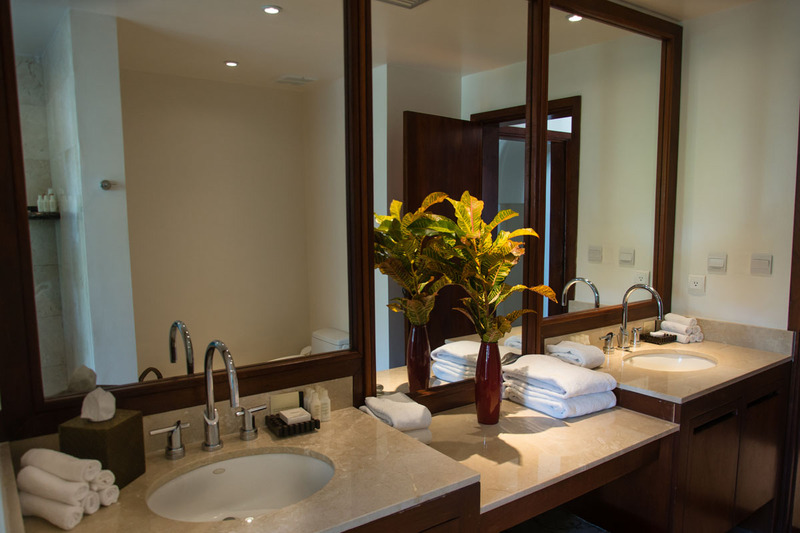 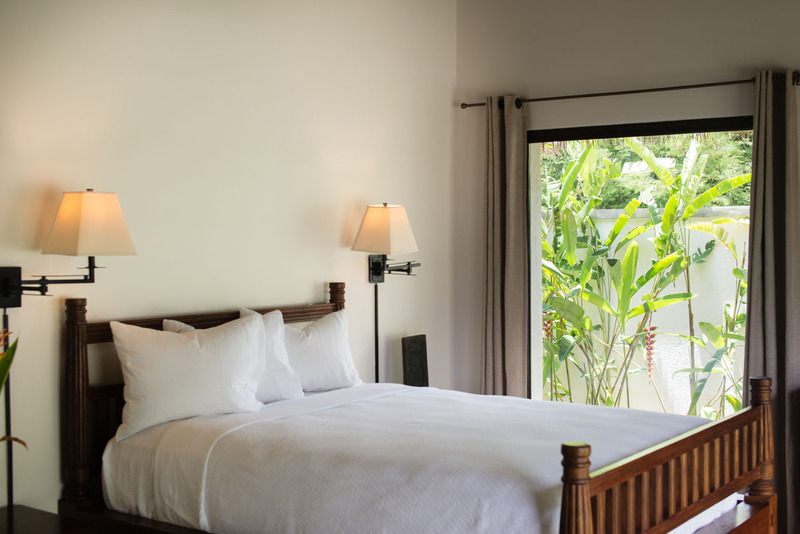 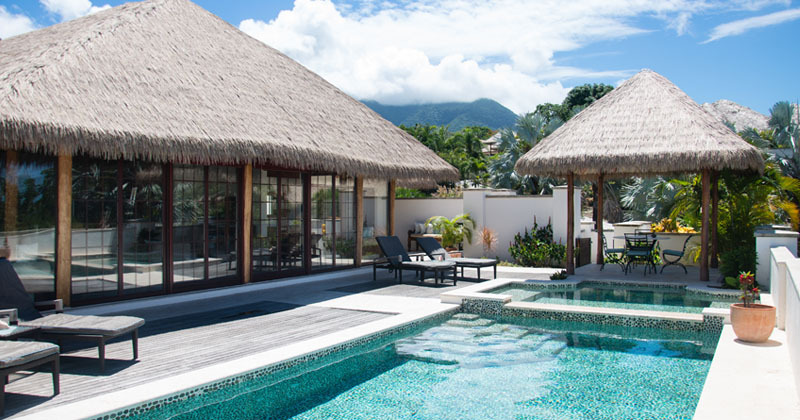 The 5 Star Villa Resort offers seven private 3 and 4 bedroom luxury Villas. 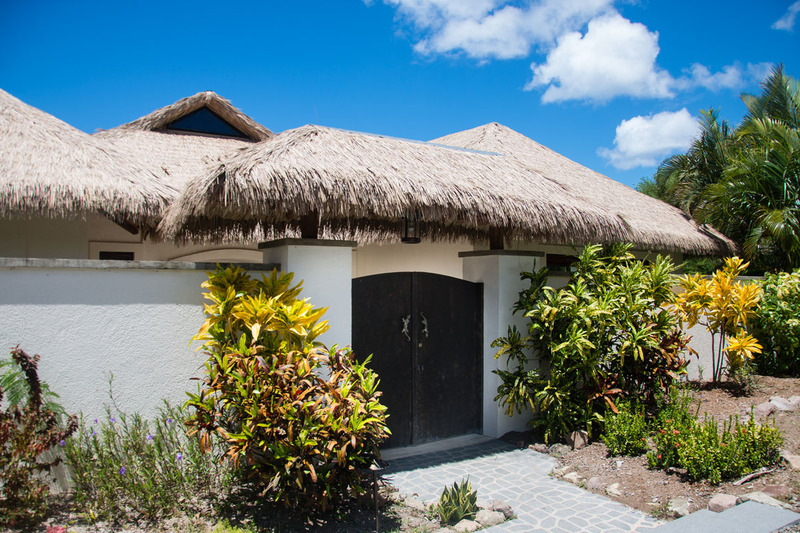 The Villas are a unique, luxurious Asian Caribbean design built with Indonesian thatched roofs, hand cut exposed beams and 30 foot vaulted ceilings. 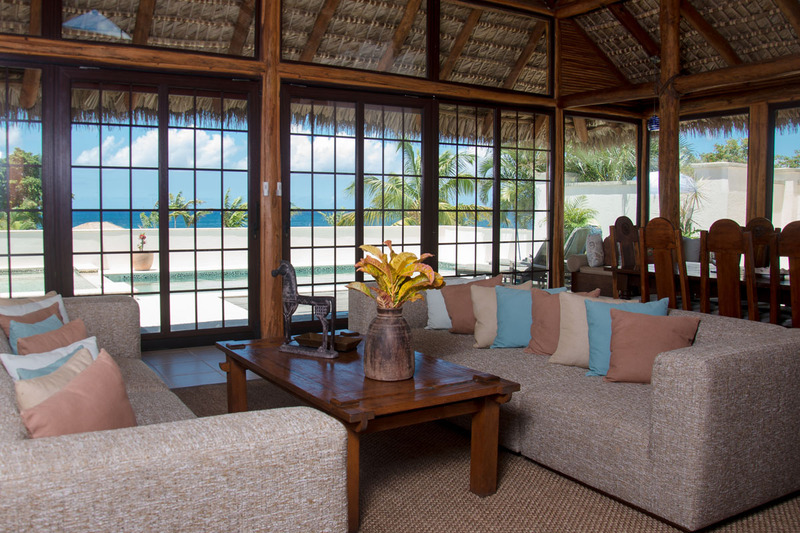 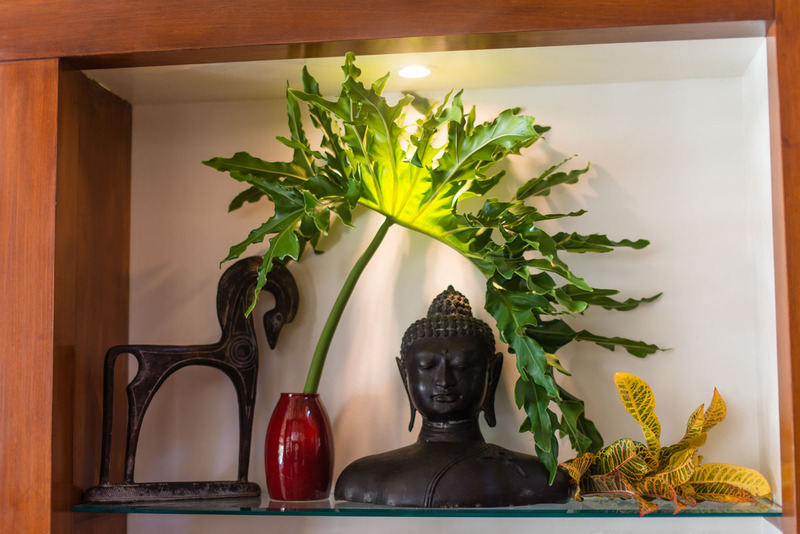 The expansive Balinese glass walls, open to allow access to the outdoor tropical breezes within the comfort of its living spaces; a perfect flow for parties, receptions and events. 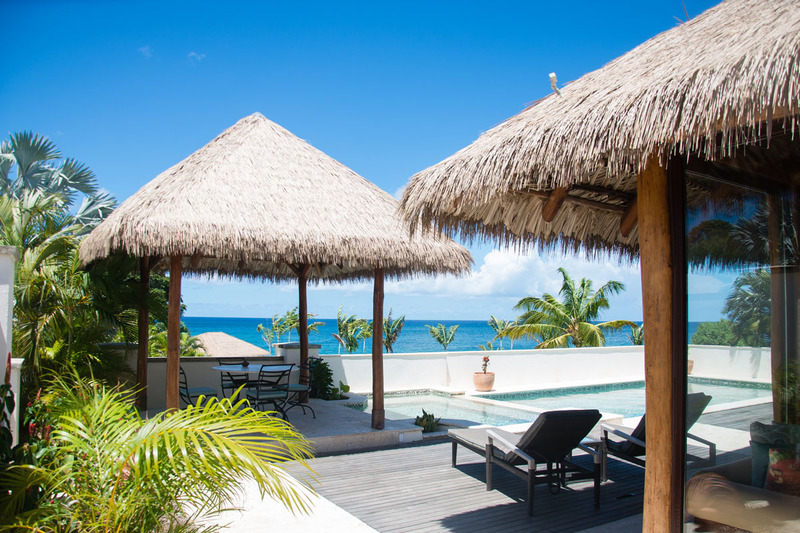 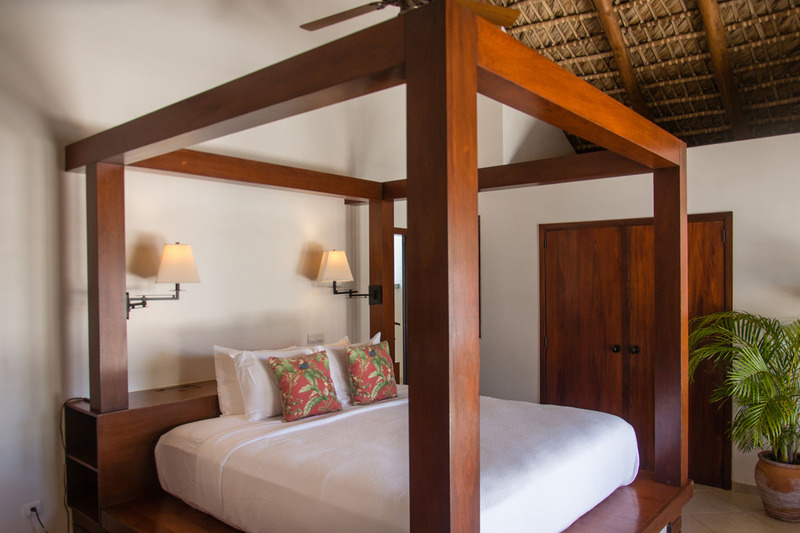 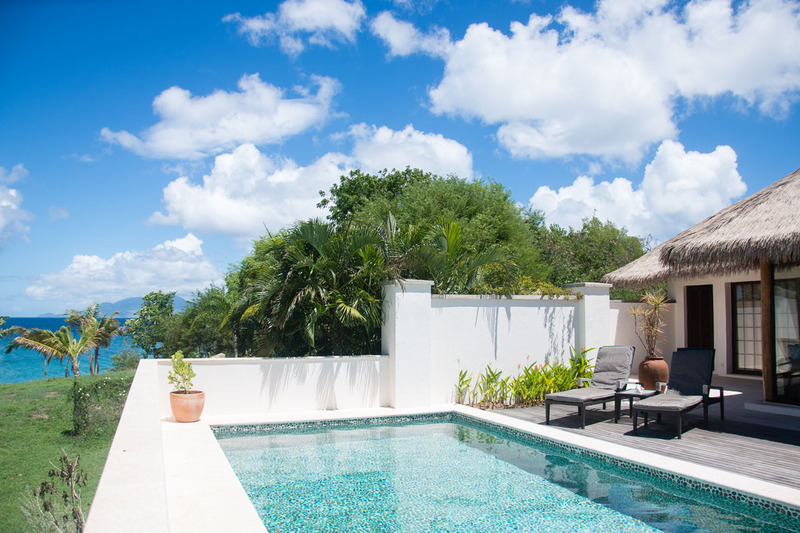 And each villa also has its own architecturally designed plunge pools and secluded patios, surrounded by mature, lush exotic gardens, providing complete privacy in a tropical island grandeur. 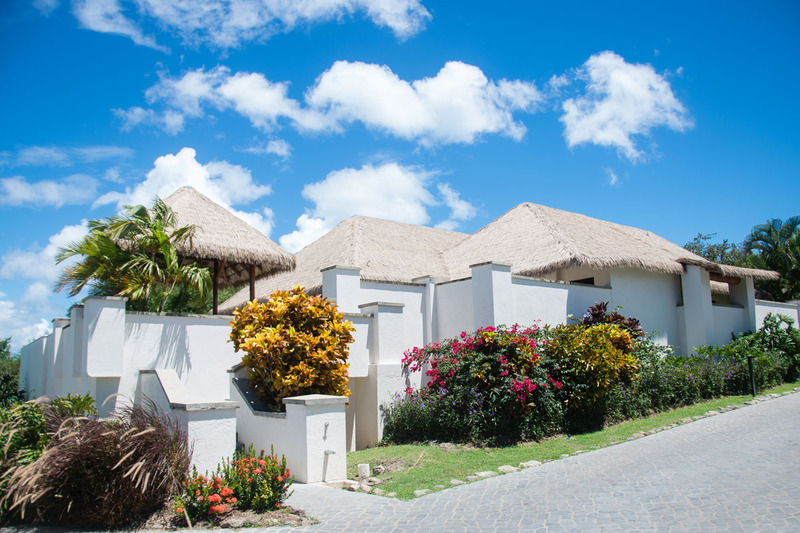 Offering 5 Star services and amenities, the Villa Resort and its adjacent Beach Bar, opened exclusively for Paradise Beach guests, has a team of island professionals committed to making the Paradise Beach Villa Resort experience the finest in the Caribbean. 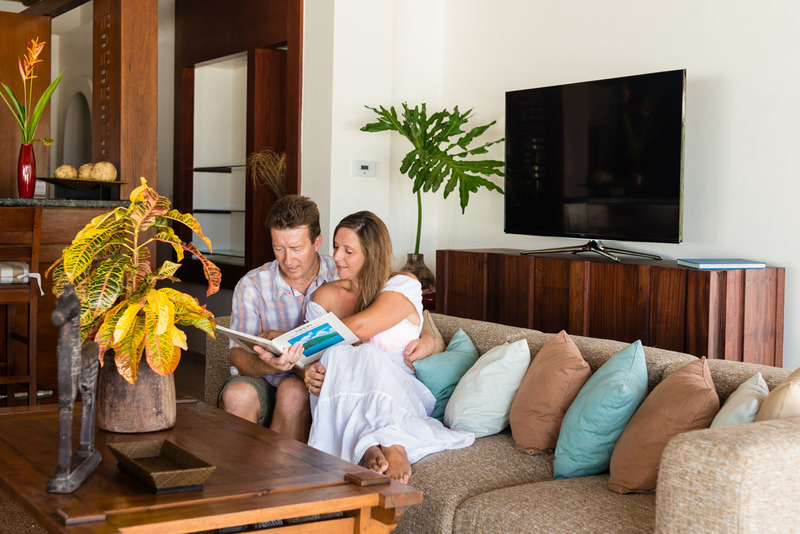 By tailoring their service to the individual guests’ needs with a personal on call butler and concierge in each villa, no request is ever too small at Paradise Beach Nevis. 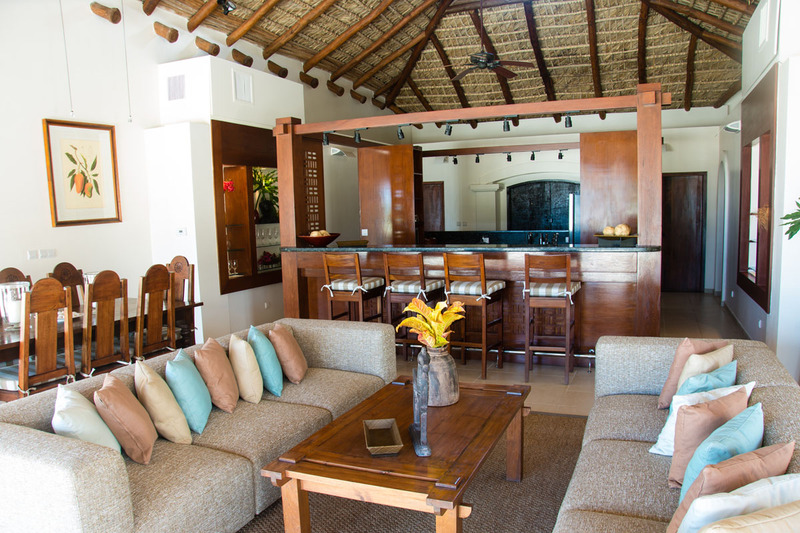 Additionally, individual chef service is available upon request. 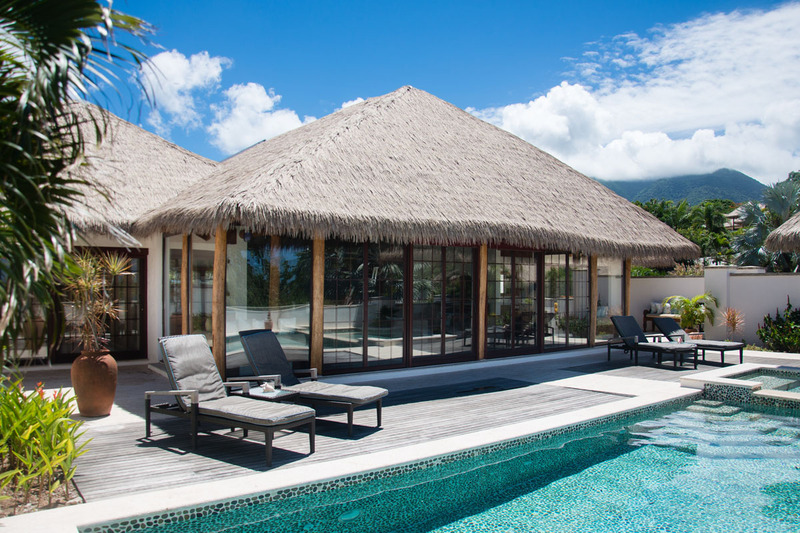 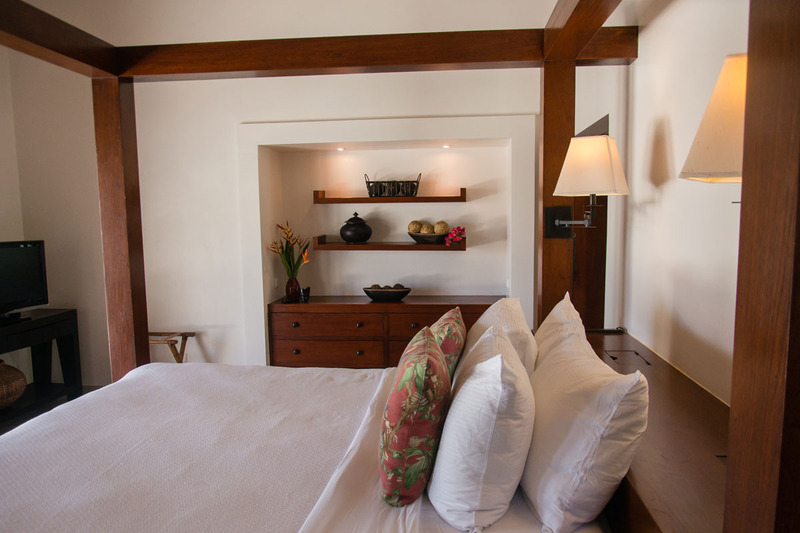 The three and four bedroom villas at Paradise Beach Nevis have been meticulously designed to provide a warm and friendly shared environment, ideal for a family or a group of friends, while retaining the intimacy and privacy of a tropical island hideaway in each room. 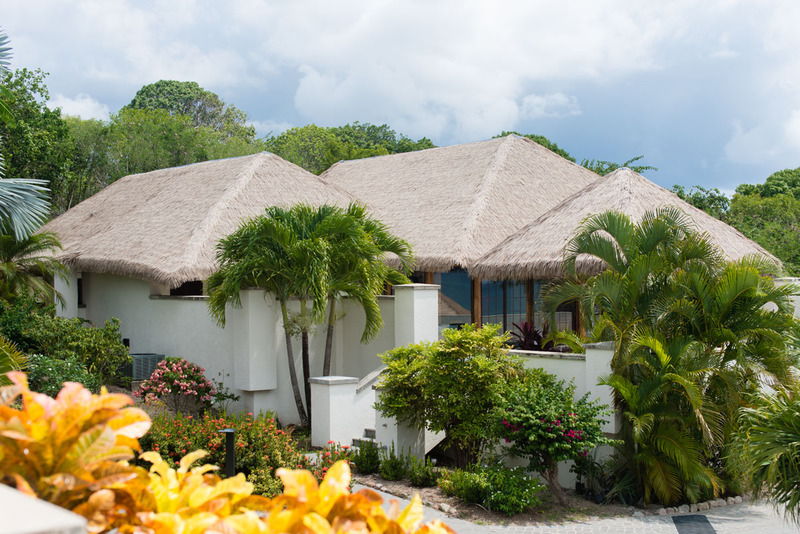 Its gorgeous ocean front location is perfect for hosting one stop destination weddings on the ocean. 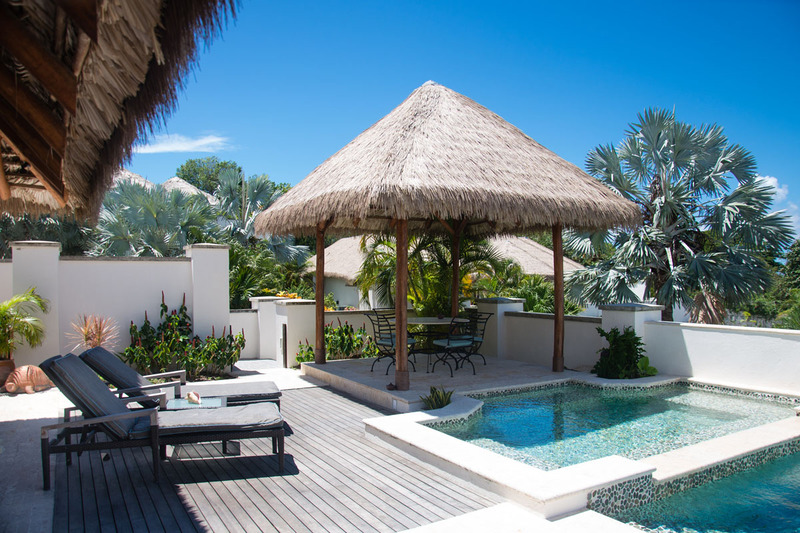 The Villas may be reserved to host groups of up to 8 people each, providing a welcoming island community.